MasterChef US Season 1 Contestants Where Are They Now? MasterChef US features Gordon Ramsay, Graham Elliott and Joe Bastianich/Christina Tosi testing the culinary skills of amateur chefs from the USA with a number of challenges and dishes to prepare, with those failing to impress being sent home. 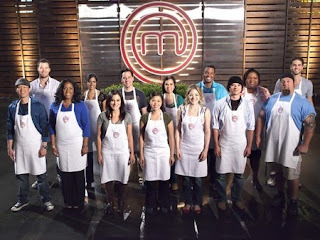 MasterChef US Season 1 aired July 27 to September 15, 2010 on Fox Network, there were 14 contestants and the prize for the winner was $250,000, their own cookbook and a MasterChef trophy. Anthony aka Tony Carbone was a Server from Boston, Massachusetts. He was eliminated in MasterChef episode 7 after failing a task to identify different ingredients. After the show, he started his own personal chef business with his own catering company The Urban Epicurean. He offers private dining experiences, prepared meals, cookery classes and pizza parties. Avis White was a Caregiver from Vacherie, Louisiana. She was eliminated in MasterChef episode 4 after her orange chicken dish landed her in the bottom 3. After the show, she opened her own restaurant Avi's Restaurant in August 2016, located at the Quality Inn Hotel in LaPlace and reviews are excellent. David Miller was a Software Engineer from Boston, Massachusetts. 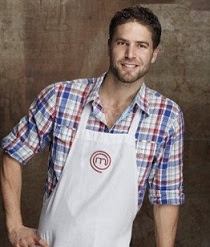 He was the runner up in MasterChef season 1 losing to Whitney. After the show, he got married in Vegas and returned to his previous career in software but still has his passion for cooking, often posting on social media. Faruq Jenkins aka Faruq Tauheed was a Bartender from Glendale, California. He was eliminated in MasterChef episode 6 after his halibut dish landed him in the bottom 3. After the show, he presented Battlebots on the Science Channel, is an actor who has appeared in numerous television shows and a voice actor on children's cartoons and video games. Jake Gandolfo was a Construction Worker from Santa Cruz, California. 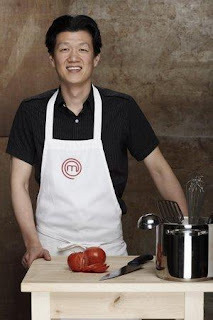 He was eliminated in MasterChef episode 9 after the team failed a pasta making challenge. 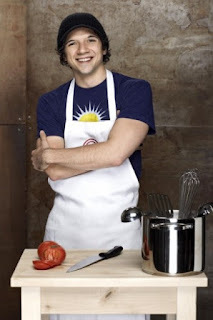 After the show, he has done a number of charity cooking events including supporting the Wyoming Food Bank of the Rockies, he appeared on season 3 of Beat Bobby Flay and currently the owner and Pit Master at BlackBoard Bar B Q in Boerne, Texas and reviews are excellent. Jenna Hamiter was a Homemaker from Euless, Texas. 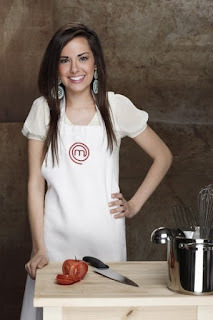 She was eliminated in MasterChef episode 5 after naming the least ingredients (7/20) in a chilli dish. After leaving the show, she became an actress and model. Kim Dung aka Slim Huynh was a College Student from Harvey, Louisiana. She was eliminated in MasterChef episode 8 due to her passion fruit fondue failing to impress. After the show, she returned to college to finish her college degree and part time restaurant work. Lee Knaz was a Bartender from Venice, California. 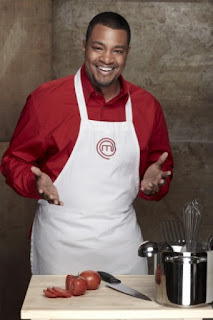 He was eliminated in MasterChef episode 12 after losing to Whitney in the cook off. After the show, he offers personal catering services from his catering company Mission Olive and also meal delivery, an e-cookbook cookery classes through company The Mediterranean Guy. Mike Kim was a Server from Redondo Beach, California. He was eliminated in MasterChef episode 10 after his poached pear trifle failed to impress Gordon. After the show, he opened a pop up restaurant called RnD Table with a friend that has since closed and has worked in restaurants in LA, including The Bazaar at the SLS Hotel and working for events company Plan on Q.
Sharone Hakman was a Financial Advisor from Los Angeles, California. He was eliminated in MasterChef episode 11 due to an under cooked souffle. After the show, he launched his own range of sauces and dressings called Haks and appeared on Kocktails with Khloe. Sheena Zadeh was a Marketing Executive from Anaheim, California. She was eliminated in MasterChef episode 4 after her mandarin orange salad landed her in the bottom 3. After the show, she appeared in television shows House and Banshee and is currently a cosmetics salesperson. She married director Greg Yaitanes in November 2012. Sheetal Bhagat was a Teacher from Chicago, Illinois. She was eliminated in MasterChef episode 12 after a cook off of Veal Milanese, apple pie and clam chowder against David. After the show, she launched Spice Note Tequila, met and married an architect and has had a career in music. She can often be found singing the national anthem at Wrigley Field in Chicago and she planned to release an album. Tracy Nailor was a doctor from Atlanta, Georgia. She was eliminated in MasterChef episode 9 after her pasta dish failed to impress the judges. After the show, she returned to the field of medicine and is an Urgent Care Physician in paediatrics at Children's Healthcare of Atlanta. Whitney Miller was a College Student from Poplarville, Mississippi. She was the MasterChef season 1 winner due to her natural ability in the kitchen. After the show, she returned to college to complete her degree and released her cook book Modern Hospitality: Simple Recipes with Southern Charm and further released Whitney Miller’s New Southern Table. She has stayed heavily involved in cooking with many published recipes, television cookery segments, recipe development, cookery demonstrations and competitions and consultancy work.